About Kanzu CodeWe believe in the power of tech to radically transform lives. We are a software development company that powers businesses by creating world-class web and mobile applications for their needs and helping them build high-performing, distributed software engineering teams. Over the years, we’ve helped our clients in telecommunications, publishing, finance, manufacturing & industry, tourism and insurance serve over 600,000 customers. As a Software Engineer at Kanzu Code, you will work on a variety of challenging and rewarding solutions for customers all over the world, from a banking solution that eases the life of financial institutions, to another that makes it easier for financial providers to achieve interoperability, to a ground-breaking website builder, to a platform changing the lives of farmers across the continent. You’ll build great web interfaces, create APIs to simplify how our apps work and interact with different stacks for different tasks – that even has a ring to it doesn’t it? Our engineers primarily work remotely on various products across industries and across technology stacks. This is you if you are big on getting the little details just right, have both excellent technical skills and team skills and can effectively operate in a remote team. You are also incredibly passionate about growing as a software engineer. You’ll get to work with a talented team and driven leadership all laser-focused on the mission of empowering businesses globally using tech and helping other local entities do the same. Working with the team to decompose high-level stories into smaller, specific tasks and provide high-level design support to help them understand how to solve specific coding challenges. Have a good grasp of key software engineering principles & best-practices such as version control, test-driven development and SOLID principles. We believe in the power of tech to radically transform lives. We are a software development company that powers businesses by creating world-class web and mobile applications for their needs and helping them build high-performing, distributed software engineering teams. Over the years, we’ve helped our clients in telecommunications, publishing, finance, manufacturing & industry, tourism and insurance serve over 600,000 customers. 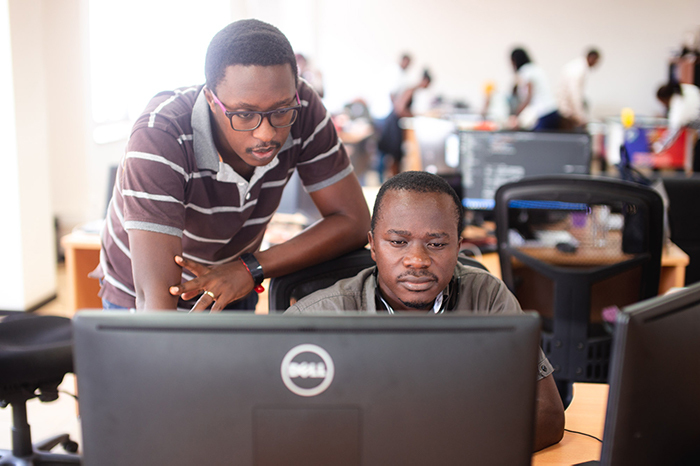 As a Project Manager, you will be responsible for helping Kanzu Code’s software engineers successfully engage & deliver value to our clients. Our engineers primarily work remotely on various products across industries and across technology stacks. Your role is to be the two-way bridge between our clients and the engineers, translating requirements into user stories or tasks and reviewing the finished work before presenting it back to the client, all within agreed time and budget. With your knowledge of business, software engineering best-practices, technology, remote communication and agile project management, you will help make product delivery & support a delightful experience. Have a good grasp of key software engineering principles & best-practices like version control, test-driven development and SOLID principles. As a Sales & Marketing Manager, you will be in charge of managing organizational sales, meeting planned goals, tracking and analyzing the performance of our advertising campaigns and ensuring that all marketing material is in line with our brand identity. You will also be tasked with hiring and then overseeing the activities and performance of your sales & marketing team by tracking sales & marketing goals, setting individual sales/marketing targets, and facilitating their ongoing training. As our HR manager, you will oversee all aspects of human resources practices and processes. This is a part-time role. If this is you, you’ll be the go-to person for all employee-related matters such as culture, job design, recruitment, employee relations, performance management, training & development and talent management. 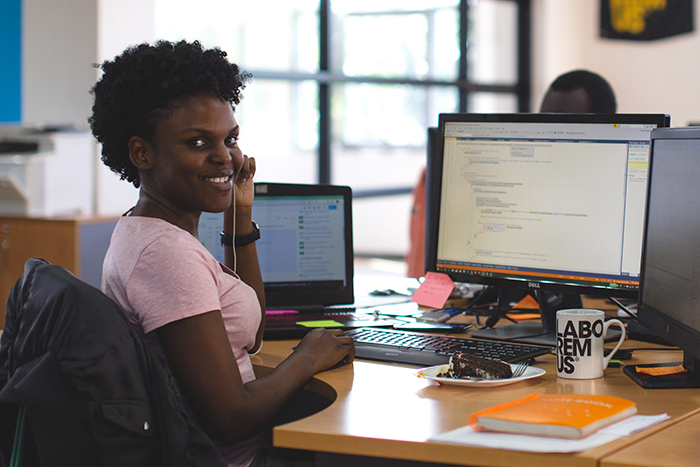 To be successful in this role, you’ll need to be comfortable in exploring new approaches as you build on Kanzu Code’s unique culture – it will not be business as usual. You’ll get to work with a talented team and driven leadership all laser-focused on the mission of empowering the community using tech. Manage organizational development strategies and processes for departments including performance management, talent review, engagement, development & motivation, team effectiveness, and leadership coaching. Are you looking to solve complex challenges, have professional freedom, and real responsibilities to create work that stands out? Laboremus Uganda is looking for smart problem solvers. Laboremus Uganda creates financial technology solutions for clients in East Africa and Europe. We help large banks, financial institutions, and start-up banks get digital. Leveraging our expertise, we also bring financial technology to the underserved: alone and in partnership with others. We believe digital financial services should be tailored, simple, and accessible for everyone. Laboremus Uganda is part of the Laboremus Group which was founded in Norway in 1996. Today, the group has offices in Norway, Serbia, and Uganda. At Laboremus, we only employ the best. Our team consist of brilliant developers, project managers, business analysts, and consultants. The team in Uganda works closely together with our teams in Norway and Serbia. We will challenge you, and make you solve complex, real-world problems. We give you both the freedom and responsibility to create work that make you stand out. We continuously invest in your personal development through training and certifications, in addition to offering health insurance, personal loans, and daily lunches on our rooftop. We also offer competitive salaries, 6 months training in Norway, extensive training and opportunities for certification, health insurance, and numerous social and motivational events. And most importantly: we offer the most intense foosball games you’ve ever experienced! You will develop clean, reusable, and testable code with performance in mind. You will collaborate with developers, designers, project managers, testers, and consultants to build complex software solutions for the financial sector. You will work on projects spanning our entire stack including mobile apps, web applications, and APIs. You will utilize the latest technology trends and patterns like big data analytics, machine learning, and AI to deliver smart solutions to our clients. You will collaborate with teams in our sister companies in Norway and Serbia to build great software solutions. You will grow as a professional through our trainings, workshops, and exchange programs with our offices in Europe. In order to join our team, we have some requirements we need you to meet in order for us to know that you are most definitely one of us! At least 2 years of related working experience. A university qualification in Software Engineering, Computer Science, or any engineering field. Experience with developing software using OOP principles. A working understanding of UI design practices including Material design, wire-framing, storyboarding, UI mocks, and responsive design. Knowledge and working experience with REST API, JSON, and XML. Experience working with relational and NoSQL databases. A proficient understanding of code versioning and peer review development tools such as Git. The ability to work efficiently/effectively in a fast-paced environment. A desire to grow as a software engineer. A passion for learning, both to improve yourself and to teach others. Experience working with continuous integration and delivery tools like TeamCity and Jenkins. Experience developing microservices architecture-based applications. Experience working with Agile and Scrum methodology. A passion for solving big problems in fintech and financial inclusion. Candidates might be asked to send more details on projects they have worked on, and might also be asked to present them. Only those selected for interviews will be contacted. The Community Access to Rectal Artesunate for Malaria (CARAMAL) project is a collaboration between Clinton Health Access Initiative, UNICEF, and Swiss Tropical and Public Health Institute, in partnership with Ministries of Health, to accelerate access to critical pre-referral treatment of malaria for children under the age of 5 years, in designated sub-Saharan African countries, including Uganda. In Uganda, Makerere University School of Public Health (MakSPH) is the Country Research Partner (CRP) for the CARAMAL collaboration. MakSPH is seeking a full-time Data Manager for the CARAMAL research activities in Uganda. The research is being conducted in Arua, Kole and Oyam districts 2018 – 2020. 1. Develop electronic data entry forms using open data kit (ODK). 2. Routinely transfer of data from ODK into STATA for cleaning and preliminary analysis. supporting data collection, cleaning, and finalization of data sets for analysis. 4. Data analysis in collaboration with the research team. 1. A bachelor’s degree in statistics. 2. Master’s degree in (Bio) statistics or a similar field. 3. Proven experience using ODK and STATA. 4. 3-4 years of relevant experience in data management for health research projects. 5. Evidence of relevant publications will be an advantage. 6. Availability to commence work as soon as possible. The terms of remuneration are competitive and will be based on the candidate’s training and experience. Makerere University School of Public Health wishes to recruit an Assistant Procurement Officer to support procurement operations. The Assistant Procurement Officer will work under the overall supervision of the Manager, Finance Management Unit. The successful candidate will have a workstation at the MakSPH main campus located at the New Mulago Hospital Complex. P.O. Box 7072, Kampala, Uganda. Deadline for receipt of applications is Monday 15111 October 2018 at 11am. Late applications will not be considered. The application must provide names and contacts of three referees, an application letter and the applicant’s own phone contacts together with a detailed curriculum vitae. Only shortlisted applicants will be contacted. The Ministry of Health (MoH) in partnership with Makerere University School of Public Health (MakSPH) and the U.S. Centers for Disease Control and Prevention (U.S CDC) is implementing the Public Health Fellowship Program (PHFP), an initiative to develop the next generation of public health leadership for Uganda. The goal of this program is to develop a competent workforce by learning-through-service and responding to real public health problems of Uganda. The PHFP is offered in five tracks, namely: Field Epidemiology Track (FET); Laboratory Systems Track; Health Informatics Track; Health Economics (Prevention Effectiveness) Track, and Monitoring and Evaluation Track. The FET is a 2-year training-through-service program in applied epidemiology and public health leadership. Fellows develop competencies by providing valuable public health services to the Ministry of Health and District Health Teams; 80% of the fellows’ time will be spent on field projects with supervision and mentorship provided by MoH, U.S. CDC and MakSPH, with an anticipated 20% spent in interactive didactic training. Competency domains include field epidemiology (public health surveillance, outbreak investigation, and applied epidemiologic investigation), communication, public health programming, and management and leadership. Fellows will prove development of these competencies by completing a portfolio of projects in each of these domains. Fellows will serve in priority technical units of the Ministry of Health, regional or district health agencies to complete this portfolio under the supervision and mentorship of national and international subject-area experts. Number of Fellowships on offer: In 2019, the program will offer ten (10) Fellowships in the Field Epidemiology Track. 3-7 years of work experience in any health-related field including human health, environmental health veterinary health, wildlife, etc. Applicants working in hard-to-reach areas and those working within the Public Service will have an added advantage. Successful applicants working within the Public Service will be required to provide a letter releasing them for 2 years to pursue the Fellowship prior to enrolment.